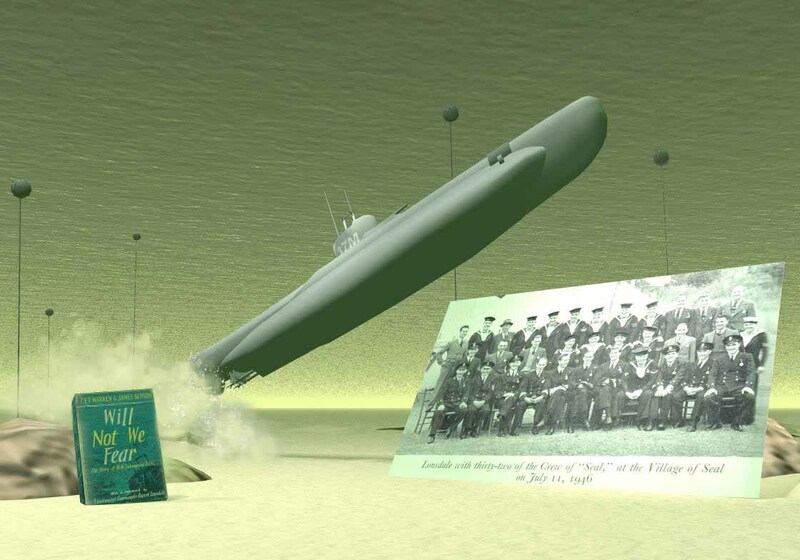 HMS Seal, making it's escape after being trapped by the stern on the seabed. Photo in the picture - Lonsdale with thirty-two of the crew of "Seal," at the village of Seal on July 11th, 1946. The village of Seal had adopted the ship and it's crew during the war.